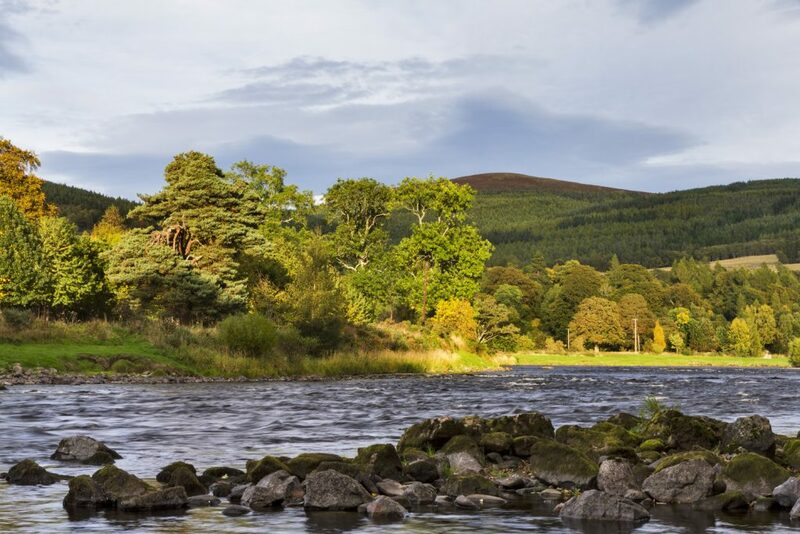 A less frequented Scottish way, the Speyside Way follows the River Spey from the Moray coast to the magnificent Cairngorms National Park. Oh, and as this is the most concentrated region of Whisky production in Scotland, it would be rude not to savour the odd dram! It’s important to sample the local produce, particularly when there is such a fascinating story behind each dram. A distillery tour (or two) is a must. An easy going trail with the perfect mix of woodland walking, riverside rambling, and glorious views. Distance: Up to 95.5 miles over 7 walking days (8 nights), if you take on both “spurs” too. The spurs of Tomintoul (for a wilder Cairngorm experience and the Glenlivet distillery) & Dufftown (a must for whisky lovers too) are both worthy additional loop walks from the main path, if you have the time. Grade: Easy to Moderate. You should be comfortable walking 8 – 15 miles a day, but the terrain is not too taxing. The final day is 17miles and can be cut short by staying in Boat of Garten for an extra night, or taking the delightful Strathspey Railway. Walking south into the highlands from the Moray coast in North East Scotland, the trail follows the glimmering River Spey. It approaches the Cairngorms national park, a must visit region for outdoor enthusiasts, before finishing in Aviemore, a bustling small town surrounded by forests, lakes, and a real hub of outdoor activity. Thomas Telford’s bridge, the oldest surviving cast iron bridge in Scotland. Great for peace and quiet peppered with delightful small towns, and of course, distilleries. 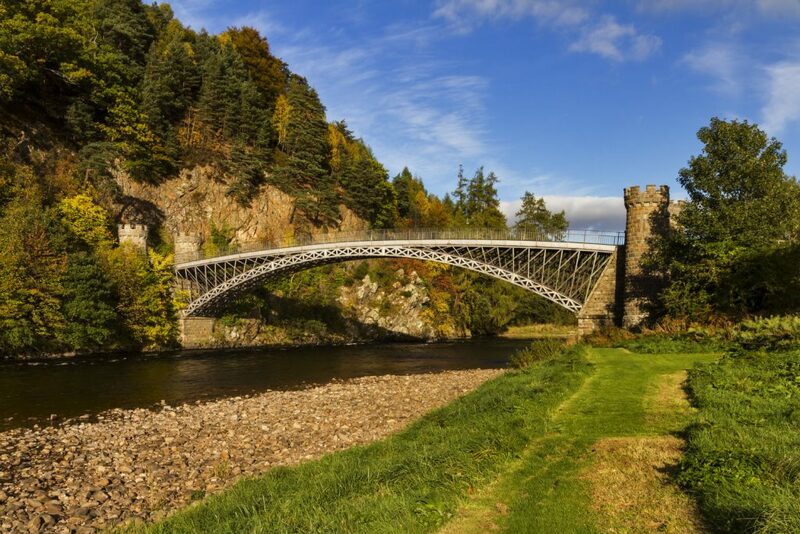 There are many points of interest along the way; Boat of Garten is a lovely village known as the “Osprey village” (therefore a must for birders), the Strathspey railway with its vintage steam and diesel engines, and Telford bridge at Craigellachie. The best reason is simply the peace though. City dwellers will revel in the varied countryside and glorious fresh air. There will be plenty of opportunity for cosy fireside whiskies along the way, could there be a more perfect way to end a day of walking? 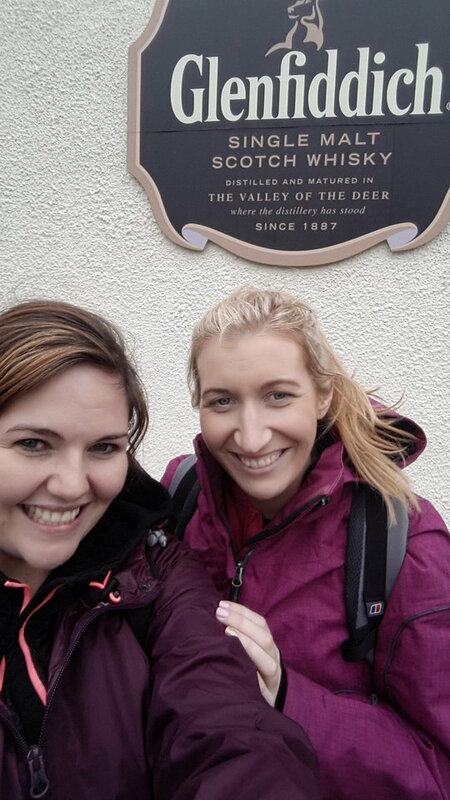 The Tomintoul Spur is a must for history and whisky aficionados alike, as it enables you to visit Glenlivet distillery, the oldest (legal!) 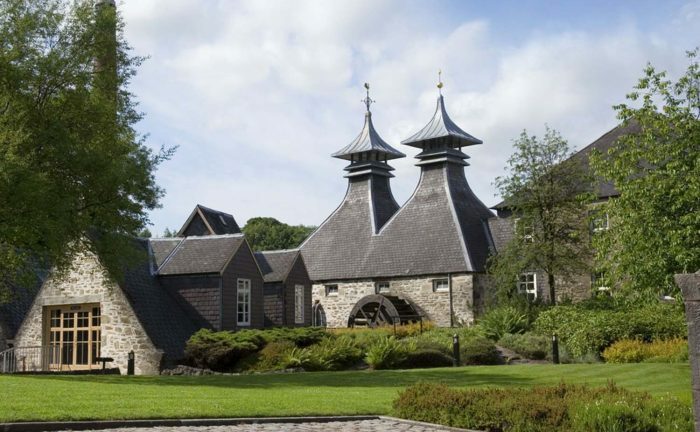 distillery in Scotland, with a fascinating story and (of course) the opportunity to taste! We suggest itineraries of 6 or 7 nights for the Speyside Way, and 8 nights if you would like to take on both “spurs”. Browse the itineraries and prices on our website, which include bed & breakfast accommodation and baggage transfer. Buckie is accessible by public transport from Inverness or Aberdeen (both of which have airports and main line rail services), and Aviemore has regular train services from the north and south. Our team are always happy to offer advice on the ideal itinerary so please do get in touch via [email protected]. Now, I think we should all raise a dram to celebrate this wonderful trail!